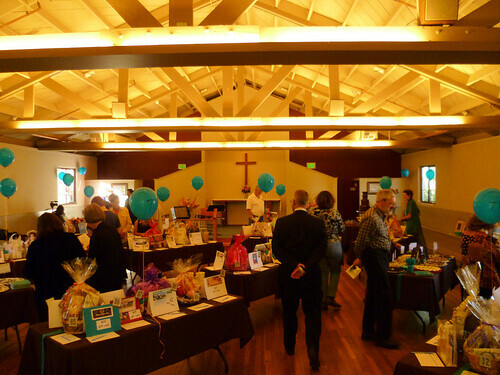 Our little church held its first major fundraiser last month. It's a small church so everyone has a little job to do. In addition to helping raise money for our financially struggling church, we also ask the local high school's Conservatory of Arts program to provide the entertainment and in return we'll share our profits with them. It was a good partnership. The program is also funded by donations alone as you know money is hard to come by all around these days. My contribution to this undertaking is by designing the fliers and tickets. I have never designed anything like this before and I didn't know where to begin. I asked one of my oldest fellow blogger cyberpals for inspiration as she was doing the fliers for her church's fundraiser at the same time. Geri generously shared photo which I used. Her link is on my blogroll. 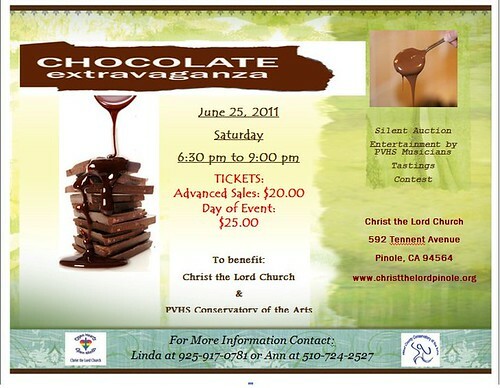 The object is to sell tickets for chocolate tasting. 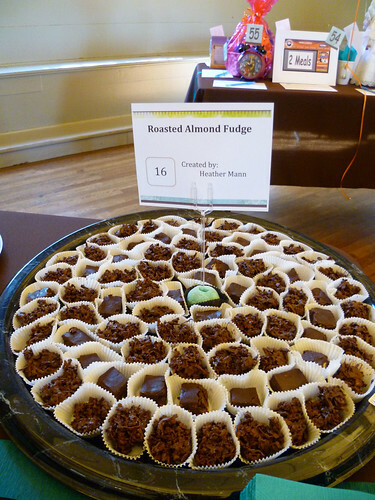 We solicited help from local businesses to donate chocolate items for tasting and/or money. We also rented a chocolate fountain for dipping. Did you know that when you rent one of those chocolate fountains it come with the guy who sets it up and cleans up afterward? Just to let you know the rental also included 15 lbs of chocolate, which is a really good deal. 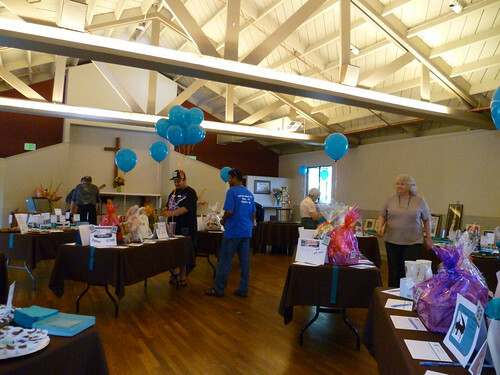 Our members also donated items and gift certificates for silent auction. We also sold raffle tickets where the prices were getaway and spa treatments. It was a huge success. We did not expect to have a wonderful turnout. On the evening of the fundraiser I manned the credit card machine. People were generous especially when they are helping the church and the kids. 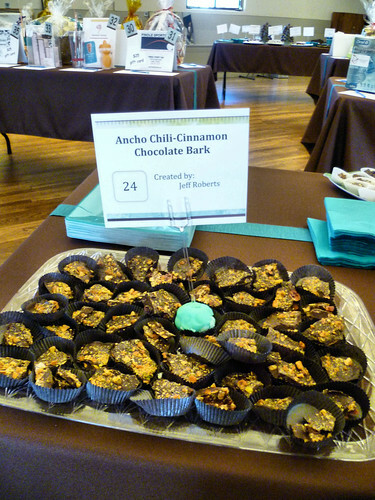 First place - winner of the People's Choice Award. Incredibly outstanding. This is incredible as well. Made by the same guy who placed Second Place. I didn't get any more photos after the gates open because I was manning my post. 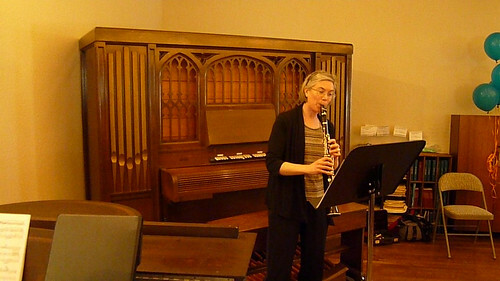 One of the teachers from Conservatory of Arts. 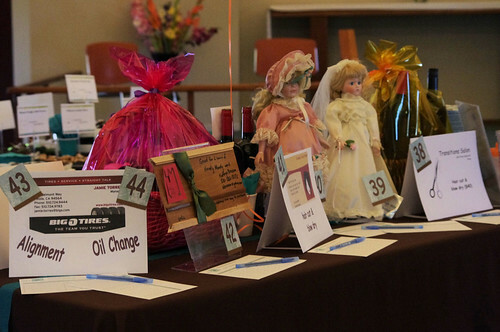 Some of the silent auction items. 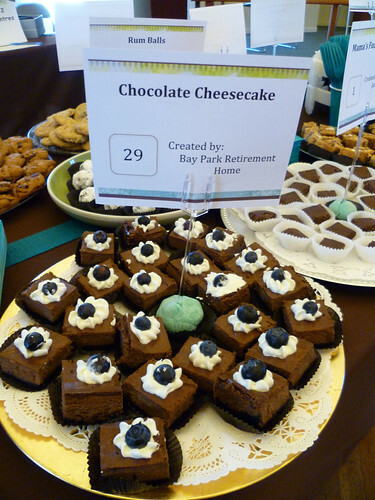 Link to the rest of my Chocolate Extravaganza photos. I am linking to MY WORLD. Oh, WOW! What a fabulous way to raise money, Maria. I bet you really had fun. YAY. 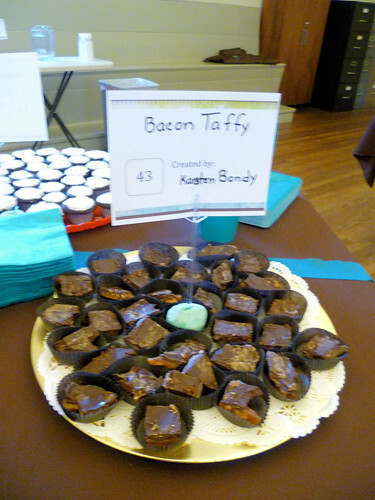 i think i'll go straight for the bacon taffy...lol. 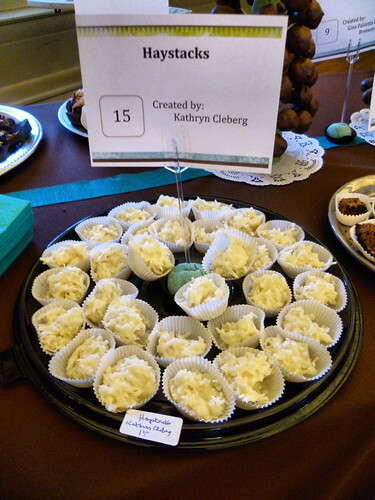 OK - my mouth is watering over here with all those delicious shots! Wow, those chocolates treats all look delicious. Sounds like a great fund raiser. Oh, yes! That does sound like such a great fund raiser! And my mouth is watering, too! Everything looks delicious and I haven't had lunch!!! Marvelous captures for the day! Hope you have great week! Wow!! Everything looks good. Boom & Gary of the Vermilon River, Canada. what a delightful spread. great to know that the fundraiser was a great success. So mouthwatering! You have done a great job! now i know where holy chocolate was coined. lovely set of photographs. kakagutom. 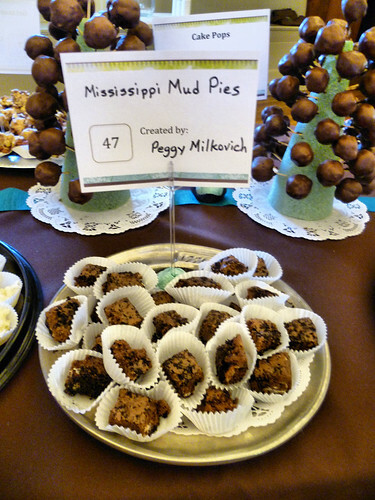 I think I would have gained ten pounds in one evening! Brilliant! OMG!!! I am not addicted to drugs, I am addicted to chocolate. That's my paradise. i don't know which one to pick--the all look mouth-watering! 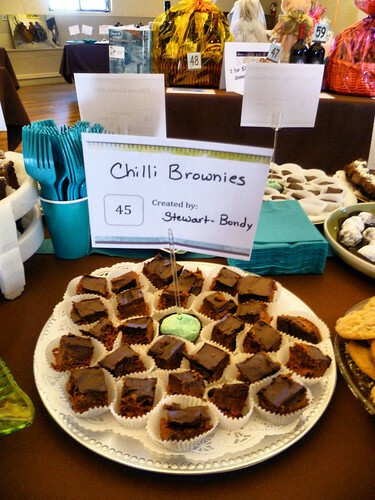 :p on second thought, i'll try the chili brownies. you did a great job on the flier. I like the flyer, and that's a great idea for a fundraiser. I'm not a church-going man but I'd go to that event! it's great when i see church activities like this. it's beyond the usual thing and creates more time for the members to build some time together. Your design looks great! I would like to try all of the chocolate goodies. Pretty church- even has a sprinkler system in case the fire and brimstone master of all that evil chocolate shows up! LOL. I'd like to taste all those chocolates! So do I, it'll be the nicest flavor ever!